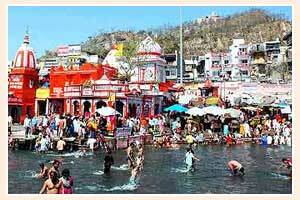 Located in the foothill of the Shivaliks, is the one of the seven holiest cities, Haridwar. It is the gateway to other pilgrimages of Uttaranchal including the Badrinath and Kedarnath. 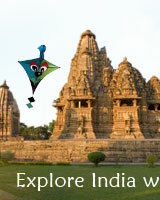 It is also the first town to be developed in the bank of Ganges and is still lush and green with trees and forest. Hundreds of pilgrims visit everyday to enjoy the spectacular sight of the Ganga Arti, celebrated in the evening everyday. The entire city acquires a unique charm when thousands of diyas and marigolds float in the water of Ganges. 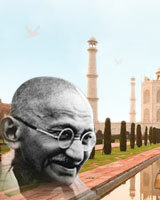 Haridwar is also the main center of herbal medicines and traditional studies. It is also a favorite destination for the wildlife and nature lovers.